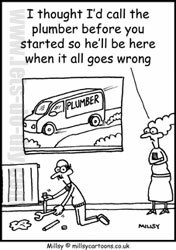 Are you looking for a reliable, trustworthy tradesman? Why not try our free service and receive quotes from local tradesmen. Need a quote? Use our free service. 2. You will be sent quotes. 3. Check ratings of the tradesmen. Once you have received the quotes you can then decide which one is best for you. You may decide not to use any. There is no obligation to use a tradesman and the service is completely free. So if you are looking for building quotes, or quotes from local tradesmen, why not give us a go.